At CUB, there is more than one way to get where you’re going when it comes to your career, and Kiel Smith and Emilia Babic are excellent examples of this As National Business Managers they might have the same role now, but they’ve taken very different paths to get here and each has distinct goals in terms of where they would like to go. On the other hand, Emilia’s career journey started in the finance industry. It was her search for a fast-paced environment that led her to make the shift to FMCG, a move that took her to Chicago before she returned to Melbourne to join CUB as Senior Commercial Business Partner – Woolworths. ‘This first role with CUB saw me working across both the Dan Murphy’s and BWS businesses, working with the sales team to deliver a strong trading program partnering with Australia’s largest retail liquor customer,’ Emilia told us. Now, as National Business Managers, Emilia and Kiel are both looking towards the next steps in their careers and their respective future roles at CUB. ‘My next goal is to lead a sales region and I would also like to broaden my knowledge of brewing and production,’ says Kiel. Emilia, meanwhile, has her eyes set on on-premises sales: ‘I’ve spent most of my career on the retail side of the business, both in my role now and in my finance partnering roles. 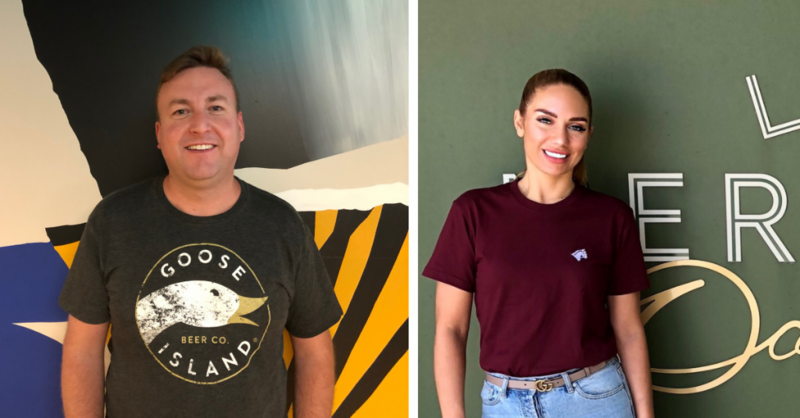 On-premise is where we build brands and I’d love to be a part of that.’ Just as they arrived in the same place via different routes, Kiel and Emilia look set to continue to forge distinct – but equally rewarding – career paths moving forward.